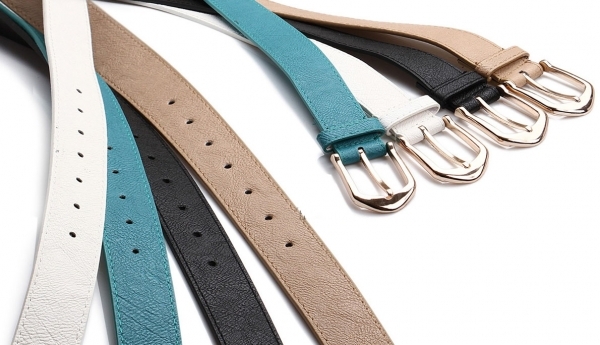 Catty offers a chic collection of belts from different materials (leather, textile, nappa), in different lengths and widths, and with different accents and buckles on them (studs, beads, sequins, buttons). Ladies can add your favorite outfit with attractive and modern thin belts to emphasize the elegant silhouette and waistline by choosing a wide belt, or attach it to the pants or jeans by choosing elegant sports model with standard width. If you want to be on top of fashion trends can select a bag - belt, a convenient and functional accessory. With this choice you buy two products - belt bag which can stunningly transform your outer appearance. You can find them in different colors corresponding to the colors of the outfits - green, pink, black and white.